The daughter of a distinguished soldier, Bess Crawford follows in his patriotic footsteps, volunteering to serve her country as a nurse during the Great War. 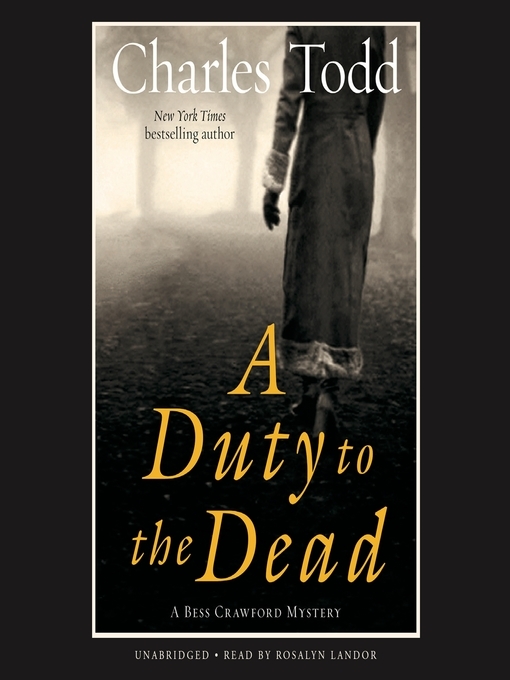 In 1916, she promises Lieutenant Arthur Graham that she will carry his dying request to a brother. When the hospital ship is sunk by a mine and she is sent home to England to recover from her wounds, Bess is determined to fulfill her promise at last. There the enigmatic message is treated with skepticism. Then the family's safe world is turned upside down when another brother comes home, dying of pneumonia. Knowing what it cost the young officer to rely on a stranger to speak for him, Bess takes upon herself this duty to the dead, so that Arthur can rest in peace. But it isn't as straightforward as she expects, when she hears the whispers in the village of Owlhurst—and in the end, the price of uncovering the truth will mean putting her own life at risk for Arthur's sake.